On the whole, 2-4 drops taken 2-4 times a day is the general dosage. Specifically, however, variations can always occur based on the above points. There are specific types of CBD oils namely HolistaPet and King Kanine. We shall use their recommended doses for specific examples. 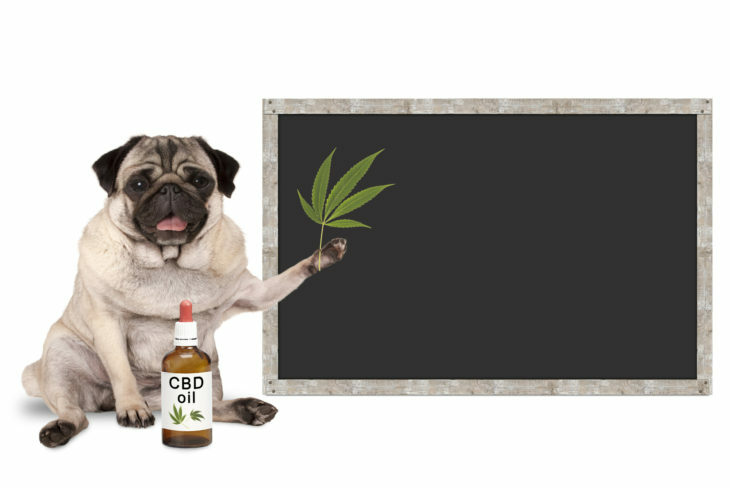 The above formulae can be used to calculate the doses required for different weight dogs when using this specific type of the CBD oil (www.simplypets.com). The rest also have their accompanying directions; so when you buy, ensure that the dosage guidelines are available for you to follow when medicating your dog. It should be noted that giving medication is always not easy but you have to be creative in doing so to ensure that your dog takes in the whole dose. Since the most suitable method has been identified as putting it directly in the mouth, you have to ensure that it is not thrown back which may make it hard for you to determine a complete dose. The King Kanine CBD oils have an ever accompanying chart. This is what you follow to administer the oil to your dog without going wrong with the dosage. The prescription chart makes its administration easy. As already hinted on, the condition you are treating the dog for will always determine how much to give it. If the labels accompanying the oils are generalized, you may then need to consult the veterinary doctors for a unique condition of the animal, if you are not sure of how much you ought to give as the suitable dose. To wind it up, following the right dosage of CBD oils is a sensitive matter if you want to see your four-legged family member up and vibrant. You should, therefore, do all you can to establish it and uphold it. Consider all the determining factors for the appropriate quantity so that you can get the expected results.